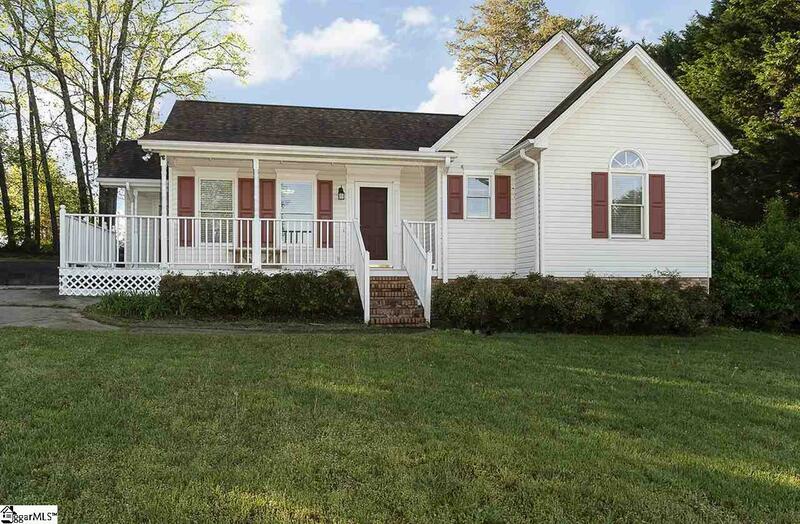 This adorable Easley home is oozing with curb appeal with an iconic "Southern Charmer wrap-around front porch. 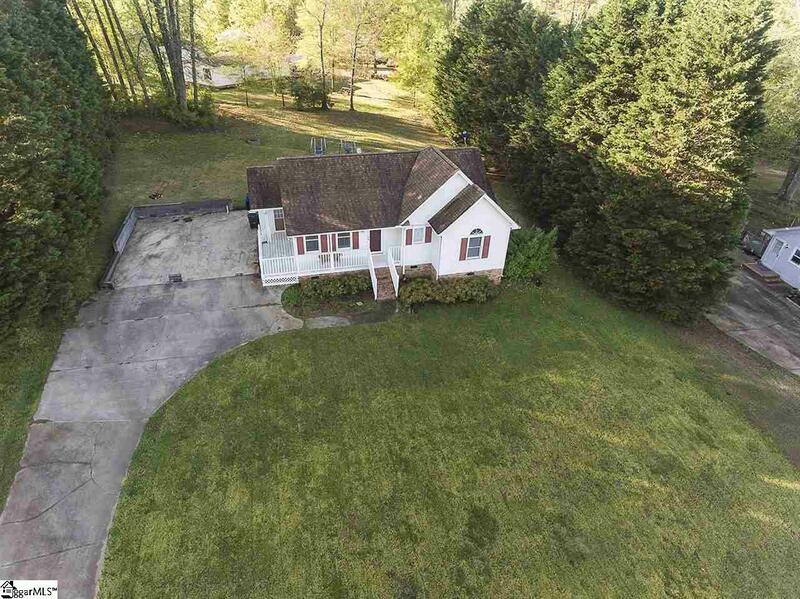 Situated on over half an acre, youll enjoy the conveniences of neighborhood living but with lots of elbow room in between houses. Single story living floor plan is very sensible and has nice large windows allowing light to pour inside creating a cheery environment. 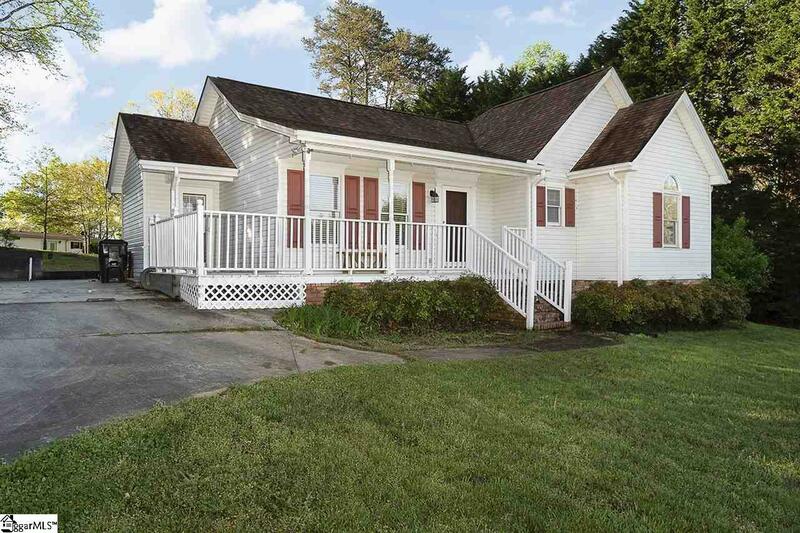 Whether youre just starting out or have decided to downsize, the storage in this home will impress you with a large hallway linen closet, den closet and double closets in the master suite. The backyard will not disappoint either with plenty of space to garden, relax or play plus, youll fall in love with the HUGE deck perfect for entertaining friends and family. There is already a slab poured ready for you to add a carport, garage or addition to the home. 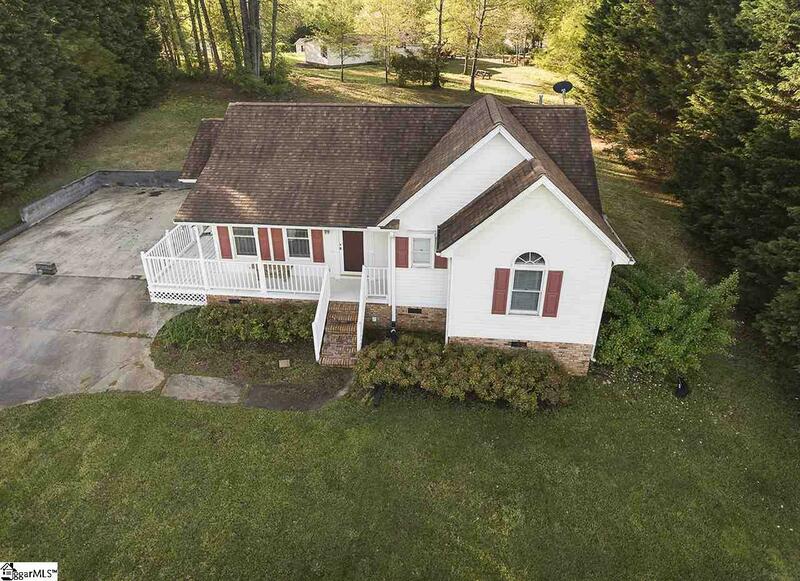 Easy access to Greenville, Clemson, Anderson, I 85, dining and shopping yet surprisingly located in an area that is USDA 100% Financing Eligible. Dont blink or you might miss this opportunity!